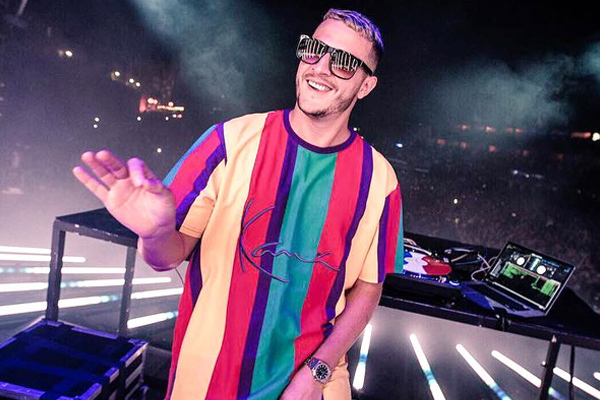 MUMBAI: French DJ William Sami Etienne Grigahcine, who goes by the stage name DJ Snake, will be back in India in March, and says the country has had an influence on his music as well as his career. DJ Snake is coming back to India to celebrate Holi with his fans. He will be performing at a Sunburn 2019 gig on March 21 here. He will also be performing in Bengaluru, Hyderabad, and Delhi from 21-24 March. "India is possibly my favorite country in the world. To be able to come and play in more cities than I have before is going to be for sure one of the highlights of 2019," DJ Snake said in a statement. "It's not hard to see the influence India has had on my music and career. To come again and reach more places so soon after New Year 2018 was an easy decision to make. I can't wait to be back, added the artiste, who is credited for hits like Lean On, Magenta Riddim, Taki Taki, and A Different Way. He also headlined the 12th edition of Sunburn Festival, held from December 29 to 31 last year. MUMBAI: Major Lazer’s popular track, Cold Water has surpassed one billion streams on music streaming app Spotify. This is the world renowned musician’s second song to achieve this remarkable success after Lean On. MUMBAI: Actor-singer Diljit Dosanjh on Thursday unveiled his Madame Tussauds' wax figure.A die-hard fan of reality TV star Kylie Jenner, Diljit wants her wax figure too, should find a spot in the iconic Regal Building at Connaught Place here. MUMBAI: American singer Nick Jonas on Saturday penned a heartfelt post for his wife Priyanka Chopra, calling her a beacon of light.